This is the authoritative edition of an American literaru classic: Henry David Thoreau’s Walden, an elegantly written record of his experiment in simple living. With this edition, Thoreau scholar Jeffrey S. Cramer has meticulously corrected errors and omissions from previous editions of Walden and here provides illuminating notes on the biographical, historical, and geographical contexts of the great nineteenth-century writer and thinker's life. Cramer’s newly edited text is based on the original 1854 edition of Walden, with emendations taken from Thoreau’s draft manuscripts, his own markings on the page proofs, and notes in his personal copy of the book. In the editor’s notes to the volume, Cramer quotes from sources Thoreau actually read, showing how he used, interpreted, and altered these sources. Cramer also glosses Walden with references to Thoreau’s essays, journals, and correspondence. With the wealth of material in this edition, readers will find an unprecedented opportunity to immerse themselves in the unique and fascinating world of Thoreau. 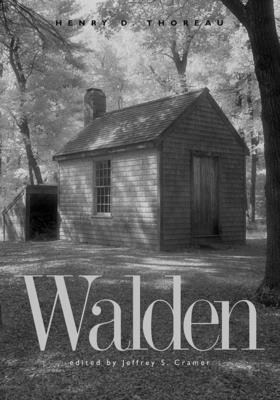 Anyone who has read and loved Walden will want to own and treasure this gift edition. Those wishing to read Walden for the first time will not find a better guide than Jeffrey S. Cramer.